The Cliona’s Foundation Annual €500 Buster Race will take place on Saturday the 28th of March in Limerick Greyhound Stadium. 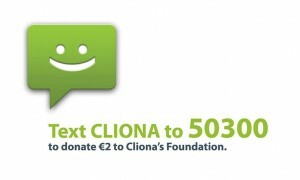 The Buster race is hoped to raise much needed funds for Cliona’s Foundation. With a top prize of €500, the Buster race along with The Con & Annie Kirby Memorial 525 Puppy Sweepstake Semi Final will make for a very exciting evening. First race is at 7.45pm, tickets cost €10 which includes a race programme and a chance to win the €500 prize money.